We specialize in design, manufacture and supply of high efficiency Screw Feeders & Conveyors for conveying/feeding various powders like Cement, Fly Ash, Micro Silica, Ice flakes and other dry powders. Our entity is among the trusted names, betrothed in presenting a wide range of Vertical Screw Conveyors. These products are enormously used in the market owing to their sturdy structure. 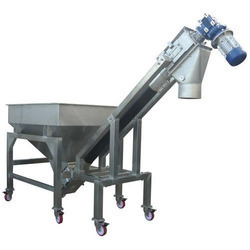 We are Leading Manufacture and Supplier of the Screw Conveyor.